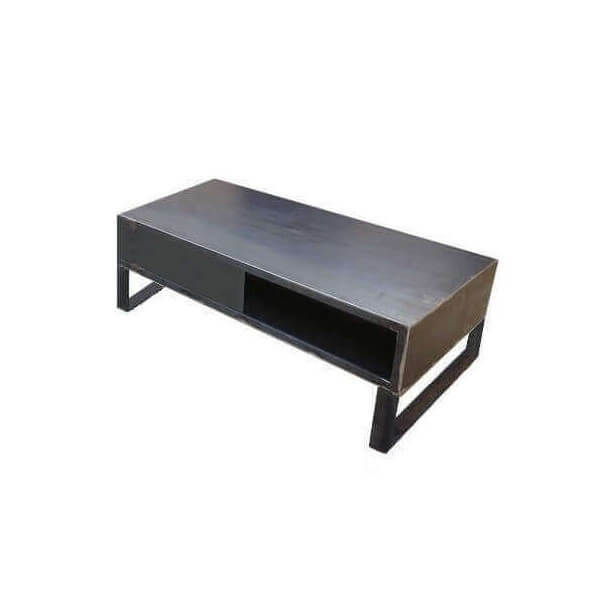 TV stand with rectangular Steel crude steel leaves appear beautiful bluish gray shades. Our furniture range of steel have pure, minimalist and timeless. The faces of the upper block are open and allow storage of DVD, Box, Home Theater and the cables to the rear readers. 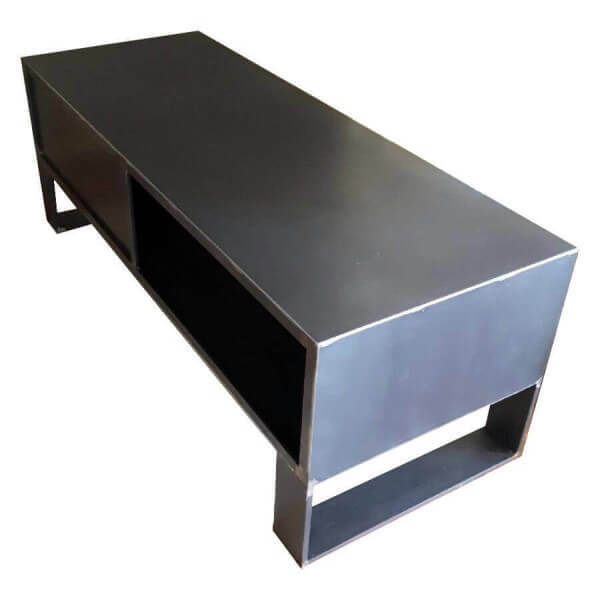 This TV stand Steel is both aesthetic and functional. 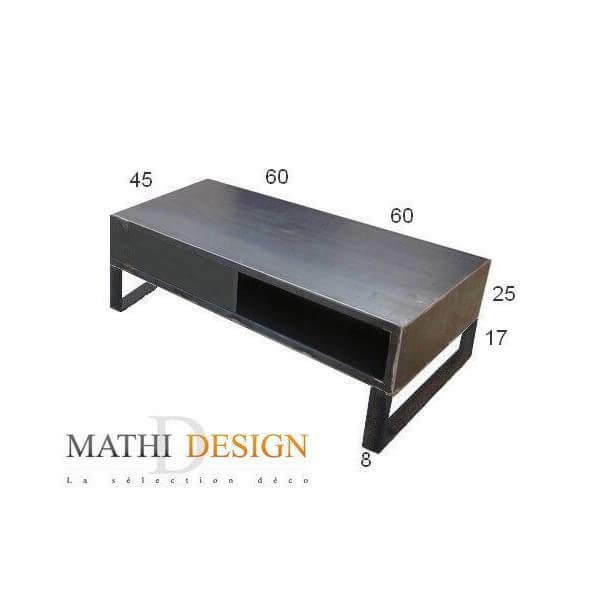 Each TV stand Steel shows differences or related to the raw material of metal brands; this is what gives this piece its authentic and unique. Welds sanded clearer contrast with the steel left natural, highlighting the industrial style of this achievement. It is waxed gross metal, it is advisable to use coasters to prevent any marks and polish occasionally the surface with a liquid wax. Each cabinet is made of steel craftsmen on exclusive demand.